Thanks for using Wordapp! 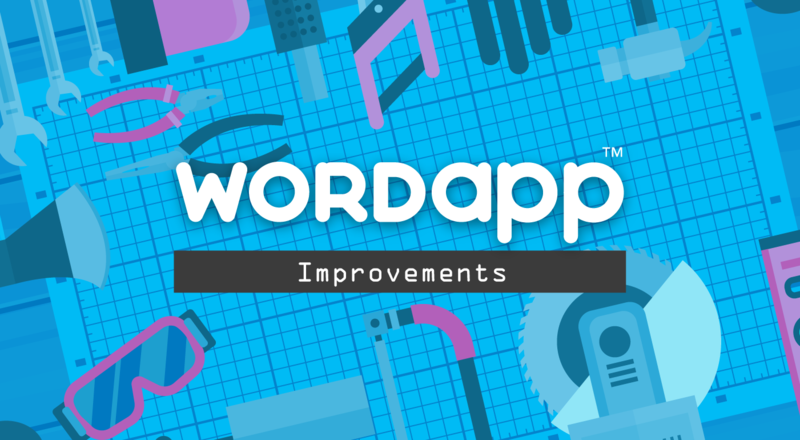 To make Wordapp an even better experience for you, we regularly update the app. Our updates include new features, performance improvements, and bug fixes. Below is a description of the latest features and bug fixes we have been working on for you! With this update, you are now able to filter your Task Feed according to your search results. You can search by project name, task name, or task status — such as writer tasks or editor tasks. More Action on Multiple Select! Hey, Admins! Send one dang more “Please delete task email” again! We dare you! We double dare you! 🙂 In today’s update, we added a delete option on our multi-select menu for content order lists. Now you can delete your tasks peacefully if nobody has worked on it, and no one will be the wiser! Template search everybody, what a find! As of today’s roll-out, we’ve added the ability to search for templates by name, language, interest, etc. It’s new functionality that should save a ton of time, and we will be refining it over the next couple of sprints.